A guide to the Film and Video Collection at Decker Library, consisting of over 5,000 titles specializing in art and experimental films. Also included are tips for locating films and videos in the catalog, recommendations, how to view streaming video, and titles that are new to the library. Sign up for the Film and Video Collection newsletter for the latest new titles. A guide supporting the Filmmaking (MFA) and Film and Video (BFA) program at MICA. In a scene in Lemonade, Beyoncé is walking down what looks like a city street with a bat and smashes storefront windows and cars parked along the street. See articles below for comparisons of this particular scene in Lemonade and artist Pipilotti Rist's Ever Is Over All. Learn more: "Ever Is Over All" museum record, Museum of Modern Art. Is the new Beyoncé video a tribute to Pipilotti Rist? Phaidon. Is Beyoncé's Windshield-Destroying Stroll in Lemonade Based on This '90s Art Film? by Mark Joseph Stern. Slate, April 25, 2016. A Lot of People Are Comparing Beyoncé's 'Lemonade' to Terrence Malick by Sam Adams. Criticwire, April 24, 2016. Watch: 7-Minute Video Essay Explores The Film Influences Behind Beyonce's 'Lemonade' by Will Ashton. Indiewire, April 27, 2016. Daughters of the Dust Trailer from Floyd Webb on Vimeo. DAUGHTERS OF THE DUST (1991) was written, directed, and produced by Julie Dash. It is the first feature-length film directed by an African American woman theatrically distributed in the U.S. DAUGHTERS OF THE DUST tells the story of three generations of Gullah women in the Peazant family on St. Helena Island in 1902 as they prepare to migrate north. Note: Julie Dash spoke at Johns Hopkins Saturday, April 30th. See Trailblazing filmmaker Julie Dash to visit Johns Hopkins by Bret McCabe, April 27, 2016. 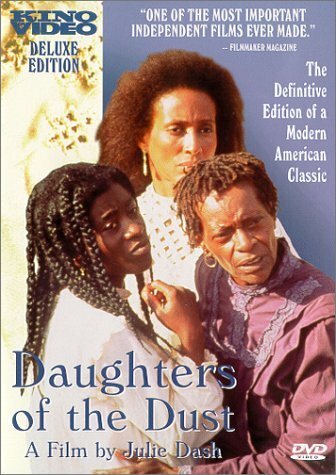 DAUGHTERS OF THE DUST is available for check out at Decker Library. Available for check out at Decker Library. Our Dated Model of Theatrical Release Is Hurting Independent Cinema by Richard Brody. The New Yorker, April 16, 2016. Part of the blame lies with critics—predominantly white critics—who paid no attention. But part of the blame lies with a system of tacit complicity between critics and the industry that poses obstacles to the recognition of independent films. ‘Daughters of the Dust,’ a Seeming Inspiration for ‘Lemonade,’ Is Restored by Mekado Murphy. The New York Times, April 27, 2016. Now, the film, which is on DVD only in an out-of-print version, will get new life on the big screen. The Cohen Film Collection, which maintains a library of classic films, announced on Wednesday that it has completed a digital restoration of “Daughters of the Dust” and plans to release that version theatrically this fall as part of the reopening of the New York art house venue the Quad Cinema. A national rollout and a new Blu-ray version of the film will follow. Trailer from Nadine Schneider on Vimeo. 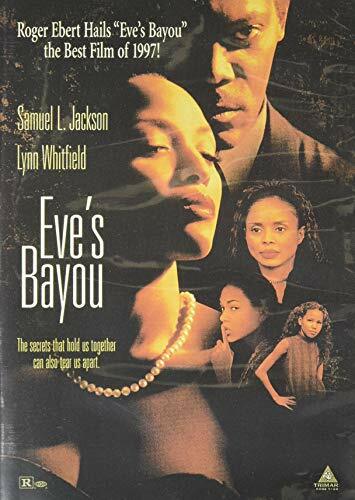 EVE'S BAYOU (1997) was by Kasi Lemmons' directorial debut. The story is set in Louisiana in 1962 and is about a family and the father's infidelity. EVE'S BAYOU is available for check out at Decker Library. Mardi Gras Indian at Jazz Fest, 2011. Credit: Tulane Public Relations. Creative Commons Attribution 2.0 Generic. The Mardi Gras Indian of 'Lemonade' by Leah Donnella. Code Switch, National Public Radio (NPR), April 27, 2016. Followers of the Yoruba Faith Reflect on the Impact of Beyoncé's 'Lemonade' by Amanda Alcantara. 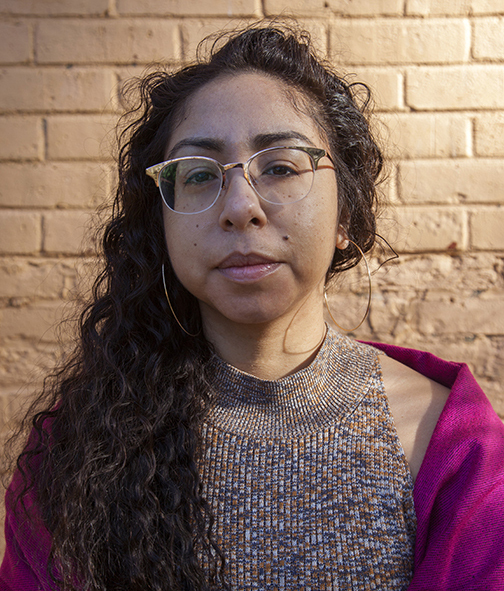 Remezcla. April 28, 2018. The Lemonade Ballet by Elizabeth Kiem. Medium. April 28, 2016. If you are off-campus, Kanopy (one of our streaming video platforms) requires that you login with your MICA username and password, then create a Kanopy login. Questions? Contact us at refer@mica.edu. 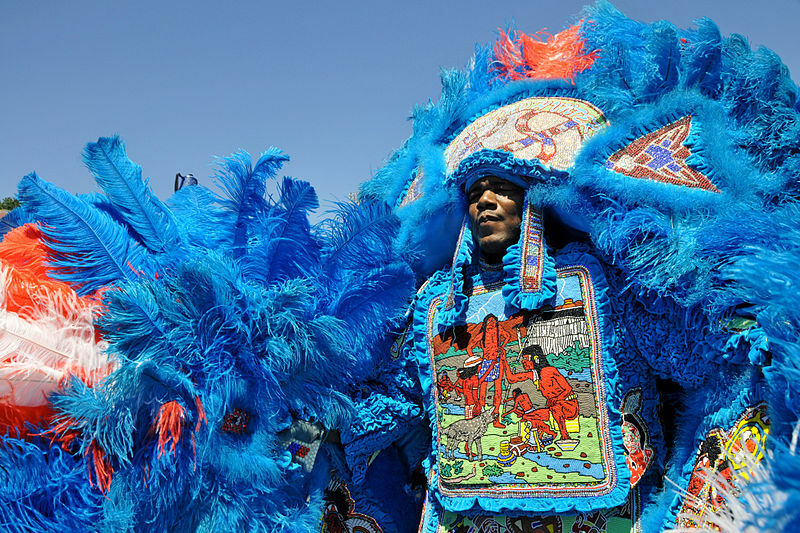 "Bury the Hatchet is a portrait of three Mardi Gras Indian "Big Chiefs." These New Orleans men are the descendants of runaway slaves who were taken in by the Native Americans of the Louisiana bayous." "Host Bruce Feiler travels to Nigeria with a group of African American pilgrims who are attending an annual festival in honor of the Yoruba Goddess Osun as a way to reconnect with their cultural and spiritual roots."